Every once in a while, the worlds of my sewing and librarianing combine in wonderful ways--see my previous book review of Sew Zoey. I went in to work a few weeks ago and my co-worker Patrick, our library's resident graphic novel expert, had pulled a book for me. He said he thought I would like and oooh, did I! 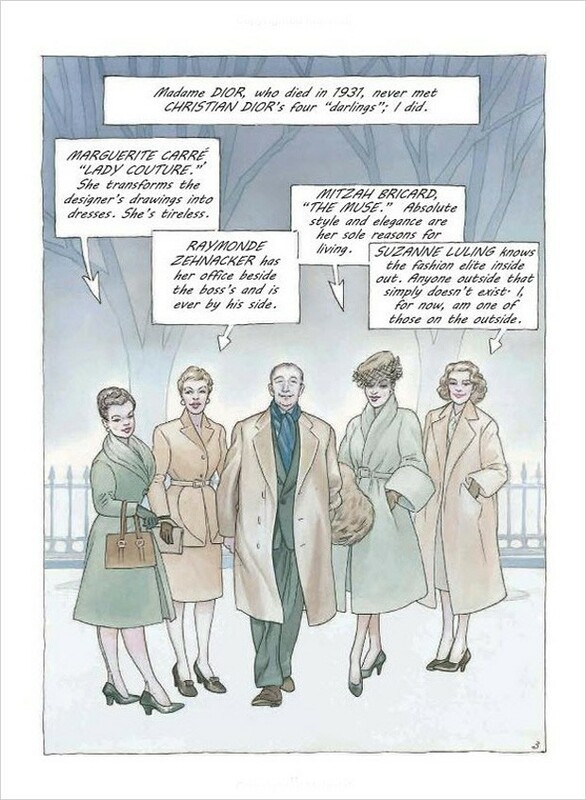 Girl in Dior is a graphic novel--a comic book. 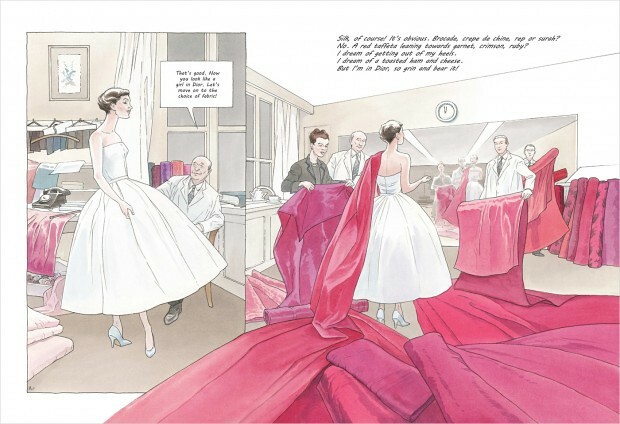 This format lends itself very well to a book about fashion: it is as if the fashion illustrations have been set in motion to tell the story. Set at the birth of Dior's "New Look," it tells the story of a fashion journalist picked to become one of the designer's models. Although this particular girl is fictional, the world she inhabits is very real, and the story feels authentic--I actually wasn't sure if it was fiction or biography until after reading it. It's a quick read (lots of pictures, few words), but one you can return to multiple times for sewing inspiration or just to soak in the detail of the dresses! You can tell the author has experience in fashion (she's also a costume designer) because the details of the clothing really shine. Do you read fashion books? Graphic novels? Just blogs? What books have earned permanent places on your coffee table? ps: i'm a librarian, so i can't help but sneak in some reader's advisory... if you're interested in more graphic novels, you can subscribe to Patrick's newsletter! 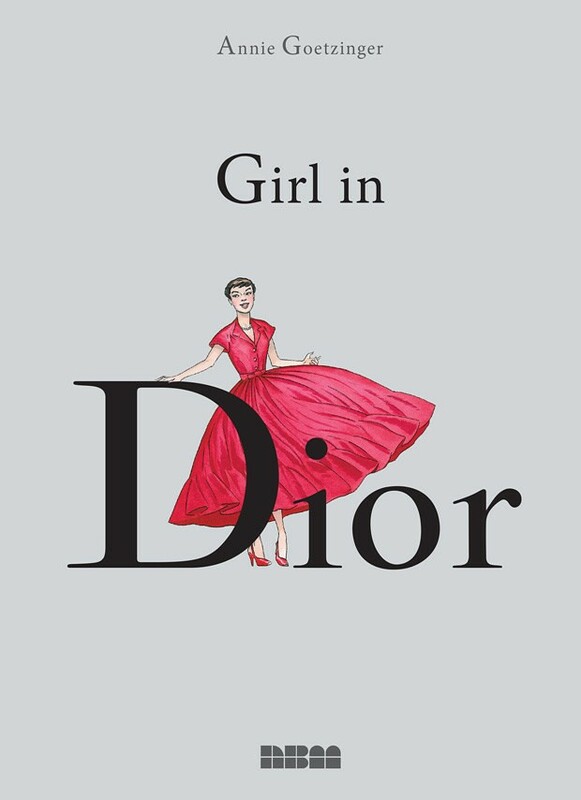 read the one with Girl in Dior here. That book looks Fabulous! I need to get myself a copy! This looks like a great book, thanks for the recommendation! I shall I have to get myself a copy. Ill have to check this out! the only graphic novel ive ever read was Scott Pilgrim, after watching the movie, i bought the novels and they were super fun to read! i love that seen of the yards of cranberry silk strewn about the floor like a great pink ocean! wonderful!